Suggested Use: 2 to 5 softgels daily as a dietary supplement. 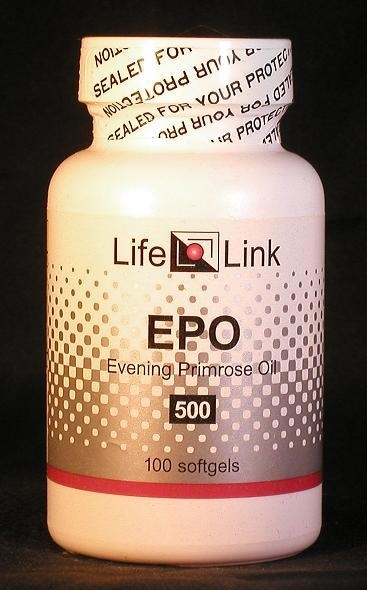 Evening Primrose Oil (EPO) is made from the seeds of the plant Oenothera biennis (related actually to willow, not primrose). It is a rich source of gamma-linolenic acid (GLA) and linoleic acid (LA) — two omega-6 fatty acids from which the body makes prostaglandins. Prostaglandins are hormone-like chemicals that regulate many bodily processes, including inflammation. The body’s ability to make gamma-linolenic acid declines with age.